So last weekend, we attended a family birthday celebration, I always like to take something if it’s a house party but I couldn’t manage spending a lot of time making a dish. I decided to try a new appetizer and put a new spin on an old favorite. This really turned out great and got some really good reviews at the party too. So I decided to share, also document it since my husband always accuses me of making a new dish great the first time then it never tastes the same again :). Before I share this recipe though please note, I don’t consider myself a chef, the recipe and explanation of my ‘how to’ is the best I can do with what I have in my pantry. Please feel free to use other ingredients as you see fit. Preheat oven to 400 F˚. Combine all meatball ingredients together in a large bowl. Mix well. Use an ice cream scoop to portion meatballs so they come out even. Line or spray a sheet pan. Load meatballs on the pan. 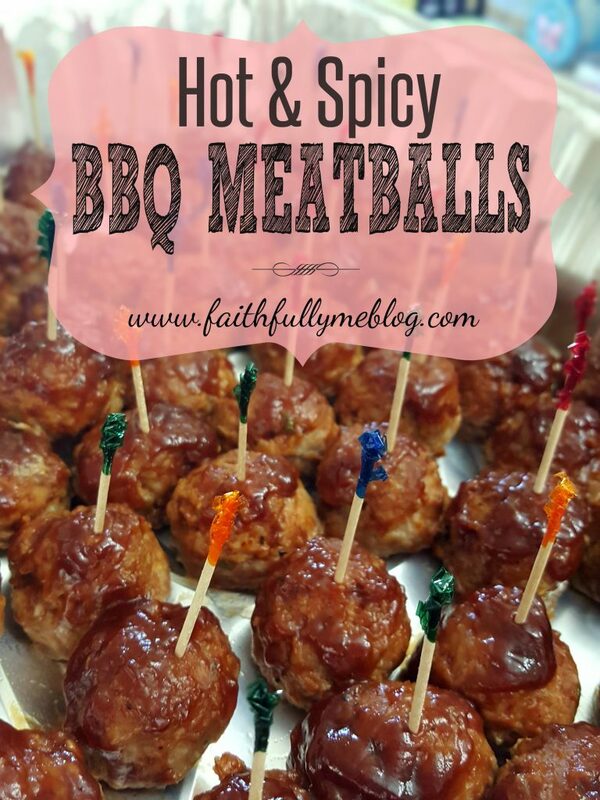 While meatballs are baking combine the 2 ingredients for your glaze. Remove meatballs from oven after 15 minutes and glaze them. Return to oven and bake for another 10 minutes. Re-coat them again once you take them out from the oven while they are still hot. Prep time includes the time it takes to scoop meatballs onto sheet pan & first coating of glaze. I really need to try this!! looks so easy and SO YUMMY! !